Triple-insulated Orla Kiely Multi Stem Flask. 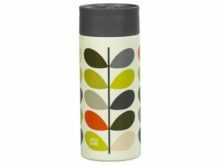 Features Orla Kiely’s Multi Stem with a solid grey colour cup lid and debossed logo. Perfect for keeping drinks hot or cold. 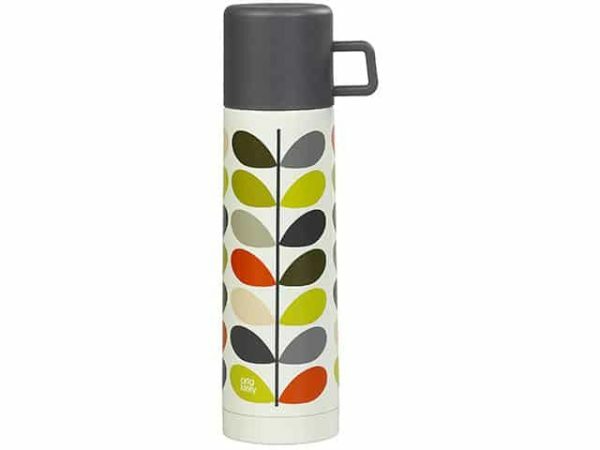 keeps beverages hot for up to 12 hours. 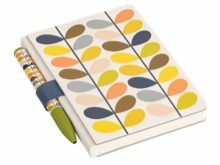 The stem design features simple leaves along a single stem. 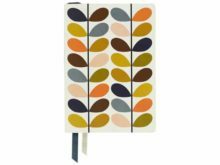 Uses the signature OrlaKiely palette of olive green, orange and grey. The lid is a solid grey colour and has a handle for drinking. 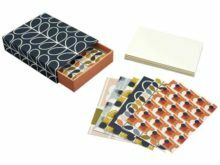 With a flavours of both 1970’s and 1950’s colours and textile design, this flask merges retro and contemporary with style. Use it for work, while camping, hiking, gardening or fishing and enjoy it wherever you are!